The sporting world is vast, filled with sports of every type and danger level. The STEM project ideas below will allow children to explore aspects of extreme sports through the creation of vehicles, ramps and parachutes that they can race and test in a library program. 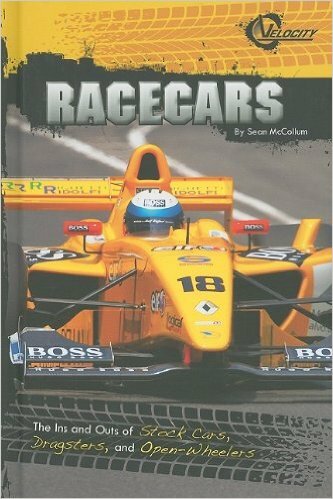 Introduce the topic of race car and stock car driving to the children using materials such as Sean McCollum’s Racecars and Giles Chapman’s Racing Driver. As you talk about racing and cars, encourage children to think about the different car designs they see. Talk about factors that can allow a car to go faster, such as aerodynamics. Show children the racing ramp they will ultimately be using to race the cars they will create. Talk about the different parts of the car, paying specific attention to how wheels are connected via an axle. Explain how each of the supplies will be used: juice box for the body of the car; screwdrivers for poking holes in the sides of the juice box, through which to thread the axles; drinking straws for axles; cardboard for designing and cutting out wheels; and modeling clay for keeping the wheels in their intended place and for adding weight to the body of the car. Assist children as needed with assembling their cars. Make the racing ramp available for children to give their cars trial runs. Pose ideas, such as adding weight to the car bodies in different locations; observing how different positioning and size of the wheels may affect speed; and asking about other factors they think have an impact on speed. Give children time to tinker with their creations. Before the end of the program, race the cars three to four at a time until all of the cars have raced. Assist the children in drawing general conclusions about what designs of cars performed best in this type of downhill race. 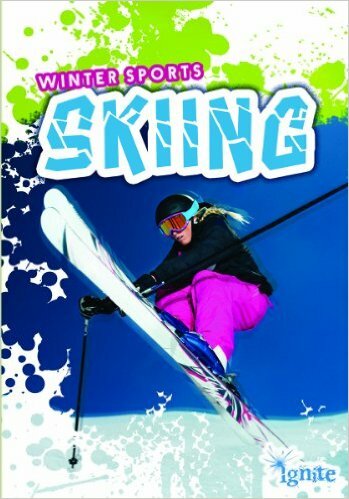 Introduce the topic of ski jumping using a resource that explores the topic; books about Olympic sports and skiing, such as Patrick Catel’s Skiing, are a good place to start. Show select videos of ski jumpers from YouTube or other online video sources; encourage children to talk about how the ski jumper is propelled into the air via a ramp. Challenge the children to design and create their own ramps for marble jumps using newspaper, cardboard tubes and tape. Demonstrate how children can make tight rolls of newspaper to create vertical supports that can hold up a chute made out of cardboard tubes. Also demonstrate how to safely cut the cardboard tubes in half lengthwise (make sure the scissors available are strong enough to do so). Once children understand the basic construction techniques, let them begin to build their own marble jumps in teams or on their own. As children build, walk around the room and ask questions about the design and construction decisions the children are making. Encourage them to take periodic breaks to see what their peers are doing on their own marble jumps. With a larger group of children, it is likely that there will be multiple different approaches to the challenge happening at once; suggesting that children look at what their peers are creating both boosts confidence in their work and exposes them to new ideas. As the children complete their marble jumps, allow them to drop a marble from the top of each jump. Use a measuring tape to take note of the distance each marble travels horizontally from its jump. Also encourage the children to observe how high the marbles fly with each individual ramp. Ask open-ended questions that help children analyze their observations and draw general conclusions about the best shape, length and angle for increasing the distance and/or height of the marbles’ jumps. 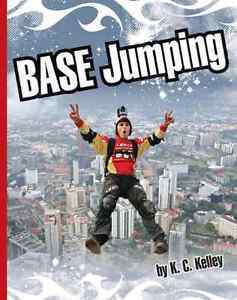 Talk about BASE jumping and other extreme sports that utilize parachutes using a book like K.C. Kelley’s BASE Jumping. 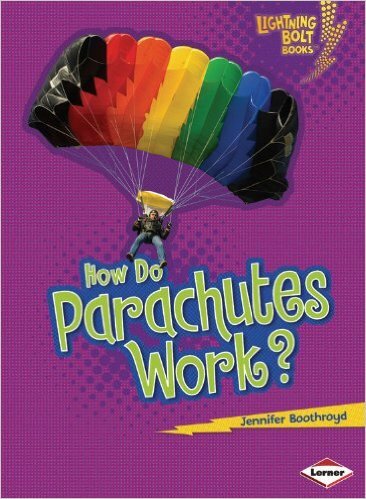 Begin to talk about parachutes using a resource such as How Do Parachutes Work? by Jennifer Boothroyd. Engage the children in a discussion about how parachutes are effective. Encourage observation of the parachutes’ shape, design and size relative to the people using them. Challenge children to design and create their own parachutes, which will be strapped to an action figure for a test jump. Make available the various materials listed above. Encourage children to test different potential chute materials and designs by making mini-parachutes with a range of materials. (If the children participating in this activity are young, it may be useful to create a sample parachute from the materials and display it before setting children free to explore on their own.) Provide support, observations and suggestions as you oversee children creating and testing their parachutes. Make sure children connect at least two strings to their parachutes that will allow the chutes to be tied to the action figures during the drop tests. When the children have finished creating their parachutes, bring the parachutes and action figures to the test drop zone. The optimal drop zone will be higher than a single story; for example, drop them from a balcony, staircase, or second-floor landing. 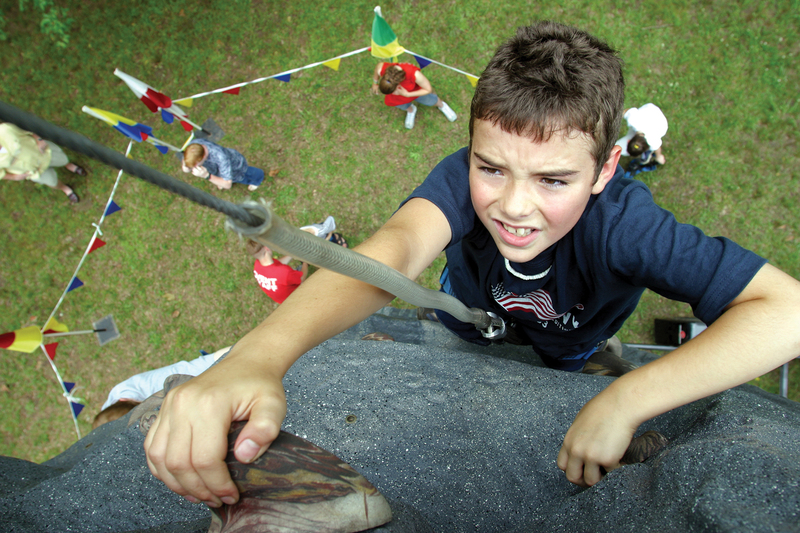 (Only the adult leading the program should ascend to the drop height; children should remain on the floor to observe from below.) 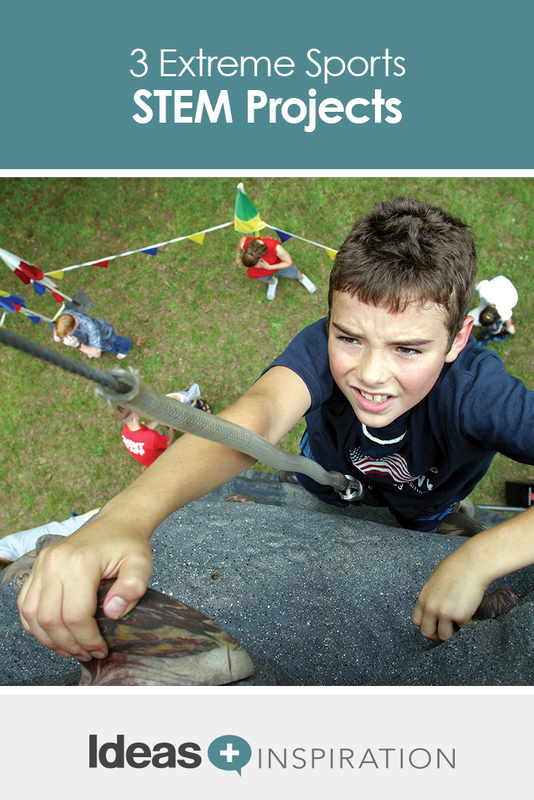 Make sure the drop zone has a perimeter for safety of both program participants and other library patrons. Tie the first parachute to an action figure, preferably around its arms/shoulders. Hold the action figure aloft with the parachute balled in your hand, then count down from three before dropping the figure. Children should observe how effectively the parachute works. Encourage observations of how soon the parachute opens, the speed at which the action figure falls, and the general shape of the parachute. Repeat the drop process with each parachute. As more chutes have been tested, facilitate some analysis of the group’s observations by asking whether there seem to be any patterns about the efficacy of particular parachute sizes, shapes, and materials. If time allows after all test drops, allow the children to work together to create what they think will be the most effective parachute possible based on their findings from the test drops. Untie the parachutes from their action figures so that children may take their creations with them after the activity. BASE Jumping by K.C. Kelley. 3–6. Explore the world of BASE jumping, or jumping from permanent structures with a parachute. How Do Parachutes Work? by Jennifer Boothroyd. 2–4. Explore how parachutes work to keep people safe when they jump or fall from high heights. Racecars: The Ins and Outs of Stock Cars, Dragsters, and Open-Wheelers by Sean McCollum. 3–5. Get to know the names and designs of different types of racing vehicles. 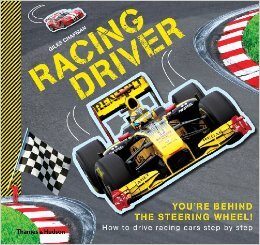 Racing Driver: How to Drive Racing Cars Step by Step by Giles Chapman. 3–5. Learn what a driver must know to be able to safely and successfully drive a race car. Skiing by Patrick Catel. 4–6. Become familiar with all different types of skiing, including recreational, competitive and Paralympic events.